The strong pull of self-expression is obvious on December 15th, as if this was the time when someone's way of thinking is bound to come to light even when they’d rather hide it. People born on this date might blurt too much, speak too much or too little, with a high awareness of their surroundings and people around them when they should really turn inwards and work from the core of their heart and emotions they feel while interacting. Curious and witty, those born on the 15th of December have something to say, a message to share, and a lot of relationships within their tribe to express themselves through. Still, their words need to find their natural limitations instead of succumbing to those of the collective, and they are to speak truthfully and openly from their heart, in any situation and with any other person standing in front of them. Interested in specific details, oratory skills and writing, they make wonderful listeners and therapists when in tune with their own authentic personality and its emotional needs. They have a way with words and understand that other people depend on their advice, but they are to give it only when asked for help to begin with. The borderline is clearly seen in these two symbols, standing there as an invitation or a limitation for a person born on this date to enter other worlds and outer opportunities. Depending on their readiness to get out of their comfort zone and face their shadows, they will be supported by the natural flow of things and sometimes quite difficult authorities, to build the success they wish to make. However, fear binds them and makes the situation impossible, rough, or demanding, putting them through processes with paperwork and tiresome routines that constantly seem to test their dedication to the goal. Bravery and the freedom of movement are essential to the crossing, feeling at home wherever they go thanks to the clear waters in their heart. 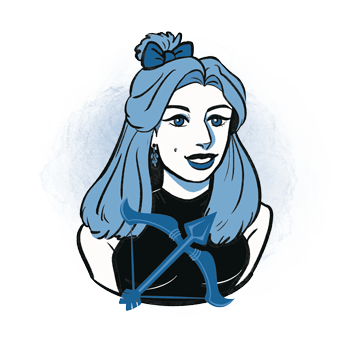 With Neptune set as the purpose in lives of those born on December 15th, they are on a quest for Divine love, typically found in creative work and the dream of talents they wish to pursue. They are in no way ordinary and need to find a way to share their deepest and widest sensitivity, their ocean of emotion with the outer world in order to give from the heart and truly find personal satisfaction that accompanies success they managed to reach. The love life of people born on the 15th of December is quite a rollercoaster ride, for they are bound to be idealists while constantly trying to do the right and reasonable thing. The tearing between their mind and heart could be vast, leading to parallel bonds and marriages for "all the right reasons" except for crazy stupid love. Affairs are possible, disappointments too, and they are to learn to see the person in front of them as an actual part of their emotional world instead of holding their guard up and hiding from deeply intimate encounters or shoving their own sensitivity aside. As smart and reasonable as they are, they need a partner to cry with, to spill their guts with, and someone who will protect their sensitive core even when they seem the be the strongest person around. They feel the strong desire to be seen beyond the mask and behind the pose they use to protect themselves from emotional bruises, and need someone to approach them slowly, patiently, and put them on top of the priority list when they aren’t doing so themselves. 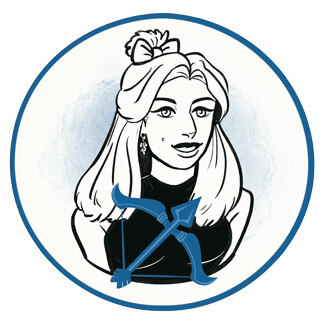 A Sagittarius representative born on December 15th excels in all quick and parallel routines, working environments where a lot of talking, writing or paperwork is required for the higher cause, and work best with children, young people, assistants and trainees that just got out of college as well as all those who still seek direction in life. They are writers and orators for a cause to bring faith back into lives of those who lost it along the way, and while they may turn to some routine professional choices, they will still spread this positive spirit wherever they go. Purpurite is a perfect healing crystal for a person born on December 15th, giving them freedom to speak out without fear that they will bruise everyone around them by simply being who they are. It is a good stone to aid personal healing, balancing them with others, bringing one in tune with spiritual energies and a bigger image they seek to give purpose to all those little things they do in their everyday lives. Aiding them to verbalize thoughts and emotions clearly, it connects the vision with emotion needed to bring it to life, and leads one to their own creative potential through clear self-expression. Small, sparkly trinkets are a good choice for a Sagittarius born on December 15th, especially those they can wear on their wrists or rings with detailed colorful engraved features. They want something to make them curious, something to read or decipher, and feel best when given a personally made present such as a poem or a song created especially for them, even when childish or senselessly simplified. Take them to see a stand-up comedy, a show that will make them laugh, or buy a bike for their rides through the countryside or equipment for hikes in deep forests, by waterfalls, and in secluded areas where there are no other people but those they love. Witty, smart and quick to resolve any problem that may arise, they are eloquent, willing to interact with new people free from prejudice, and excellent listeners when in touch with their own authentic personality. When they leave emotional matters aside, they become overly rational, unable to truly understand any person including their own emotional needs, closing their heart and seeking positions that seem successful while not filling them with actual happiness and satisfaction. In 1852 Henri Becquerel was born, a French engineer, physicist and chemist who won the Nobel prize along with Marie Curie and Pierre Curie. He was the first person who discovered evidence of radioactivity and the SI unit for radioactivity, the Becquerel (Bq) is named after him. In 1949 Don Johnson was born, an American actor, singer and director, best known for his roles of James "Sonny" Crockett in Miami Vice and the lead role in Nash Bridges. He is the first and only Hollywood actor who broke through to a tier I motorsport championship, crowned World Powerboat Champion in 1988. In 1979 Adam Brody was born, an American actor who appeared in Mr. & Mrs. Smith, In the Land of Women and StartUp. He has described himself as a "beach mood" person and a "faux intellectual". 1905 – Establishing of the Pushkin House in Saint Petersburg in order for cultural heritage of Alexander Pushkin (born on June 6th) to be preserved. 1933 – The amendment of the U. S. Constitution that prohibited sale, manufacture and transportation of alcohol is repealed. 1939 – The premiere of Gone with the Wind in the city of Atlanta. 1960 – The constitution of Nepal is suspended, parliament dissolved, and king Mahendra of Nepal (born on June 11th) imposes direct rule. 1970 – The first soft landing on the surface of another planet is achieved on Venus. 1973 – Homosexuality is removed from the official list of psychiatric disorders by the American Psychiatric association.